hether you’re a student with a mountain of books, a working professional with a mountain of papers and documents, or a hiker with, well, a mountain ahead, there’s always a good reason for a solid backpack. In fact, every man should have a good backpack to their name. The various uses of a backpack make them a worthy product to invest in. 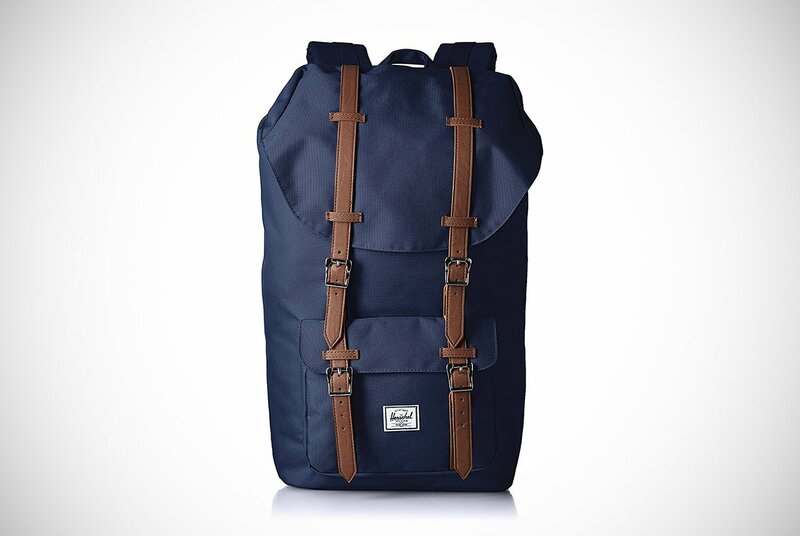 Using them so regularly, clearly, one of the best to invest in are the Herschel backpacks for men. They are among the leaders of manufacturing men’s backpacks. The guys over there have been knocking up quality men’s backpacks for long enough to know exactly what us men want. Just to give you some background, Herschel is a Canadian lifestyle company. They specialize other fashionable items like luggage products as well as wallets and headwear. Their backpacks attempt American and Canadian nostalgia by revamping the older backpacking styles with some modern perks or twists. All Herschel’s products are aimed at 18-35-year-old men and women. Only recently had they opened their first actual retailing premises in June of this year. Their design using convenience and style make them very popular. You always see their backpacks on the streets or flashing past your eyes at rush-hour transport hubs and well. There’s a reason for that. They’re what men want. Since their launch in 2009, these backpacks have shot to fame across the world. Whatever type of guy you are and whatever your backpacking needs, they’ll have made one for you! Don’t believe us? Well, we’ll prove it with our list of the top 9 Herschel Backpacks for men. However, before we unpack all that, let’s tell you a bit more about Herschel and why they’re a strong force in the men’s backpack scene. What Are The Main Benefits Of Buying Herschel Backpacks For Men? The backpack market is flooded with brands trying to compete with one another. However, there are only a select few that stand out in terms of both functionality and aesthetics. 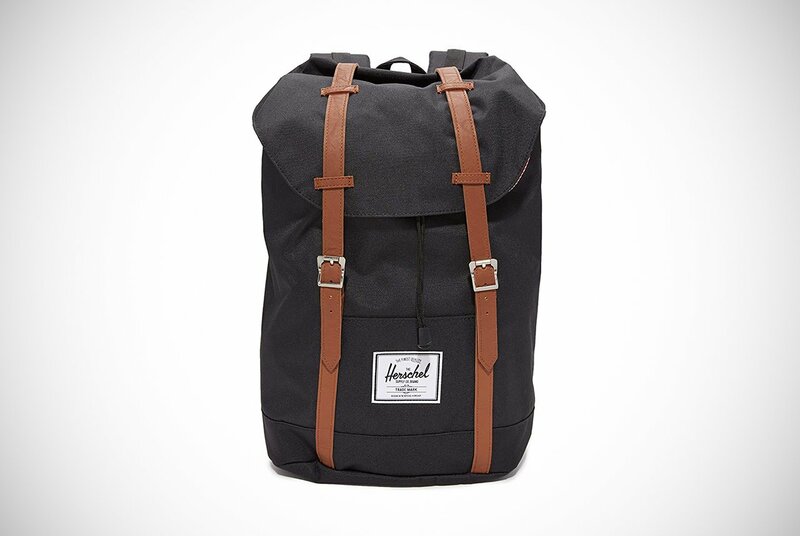 Herschel backpacks for men is undoubtedly one of those brands. Their backpacks have excelled on the market and won over a large loyal fan base. Why exactly do they outshine other brands? There’s a lot of benefits to buying Herschel backpacks for men. First of all, they are a fashion statement. A lot of people are aware of Herschel and by wearing one of these backpacks you’re sending a message to those around you. It’s a message that screams you’re a stylish guy! Herschel also manufactures many different models with various patterns and color combinations so it isn’t difficult to find one you’ll like. A classic monotone backpack that goes quietly under the radar but gets appreciation by those who see it, or colorful and stand-out design with different tones and accents to turn heads. You can get either with Herschel. The features included with a Herschel backpack are really impressive. You get a great variety of open capacity bags where you can just throw in your gear without consideration. Then you have backpacks with specifically laid out compartments to help keep your business files, textbooks, and whatever else organized. This includes protective sleeves for electronic devices such as iPad and laptops, even a media pocket with a headphone port. Are Herschel Backpacks For Men Comfortable To Wear? The Herschel backpacks for men make your life a bit easier while also being stylish. They’re known to be incredibly comfortable. A lot of their models are complemented with padded straps to ease the heavy load and pressure on your shoulders and shoulder joints. However, you won’t get horrible chafing marks and sores with one of these. Many of their models have adjustable straps as well. That means you can lower your Herschel backpack when it’s getting a bit full and you need more body mass to carry the extra weight. There’s one little problem that wearing a backpack can cause during summer. Have you ever been the guy that rocks up to work, the bar or even a date to whip off your backpack and reveal a sweat patch on your back? You can’t see it yourself, but you know it’s there. The clammy skin gently sticking to your shirt and the thought that everyone in the room has noticed. You won’t have to be the subject of other people’s internal monologues, eyebrow raises, and giggles with a Herschel backpack. This is due to many of their models having ventilation to help avoid those awkward sweaty moments. Not to mention, the ventilation also keeps your backpack’s contents smelling as fresh as you. That’s not all. With weight distribution in mind, Herschel designed their bags dimensions and weight to encourage you to wear them over both shoulders. This is good for your posture and can help avoid back problems and muscular twinges. Need any more reasons why Herschel are one of the comfiest backpack suppliers around? We thought not! What Warranty Do Herschel Backpacks Come With? A lifetime warranty comes with all Herschel backpacks for men that sell new, licensed bags by the company. All their bags have it, truthfully. The warranty acts as a cover for everyday and common uses during the whole of the original buyer’s lifetime. This warranty will come into effect from the moment of purchase. Herschel says they offer this lifetime warranty because they can guarantee that all of their backpacks go through rigorous quality testing and checks. 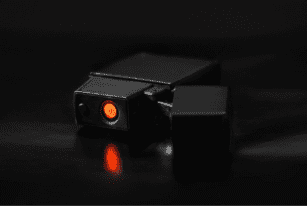 This is done to pick up on manufacturing and material defects, so you never encounter them. They also say we should check out their official website for more information. After a thorough read through their particulars, all you need to be aware of is that Herschel will decide if any claim should be accepted in accordance with local law. Obviously, they will want proof of purchase with any claim – so keep your receipts! There’s also a couple of things their warranty doesn’t cover. They won’t replace your backpack if you misuse it, neglected to care and maintain it, or attempted to modify it in any way. If you want to transform your backpack into a part-time jetpack go ahead, but just be aware you’re voiding your warranty. They also won’t entertain your claims if you’re claiming for general wear such as fading colors, the wearing of materials, or if you’ve lost your backpack. It’s all pretty standard really, if it’s faulty upon purchase and delivery you’ll get another one, but just take care of your backpack in general. If you do make your bag into a jetpack, let us know though. 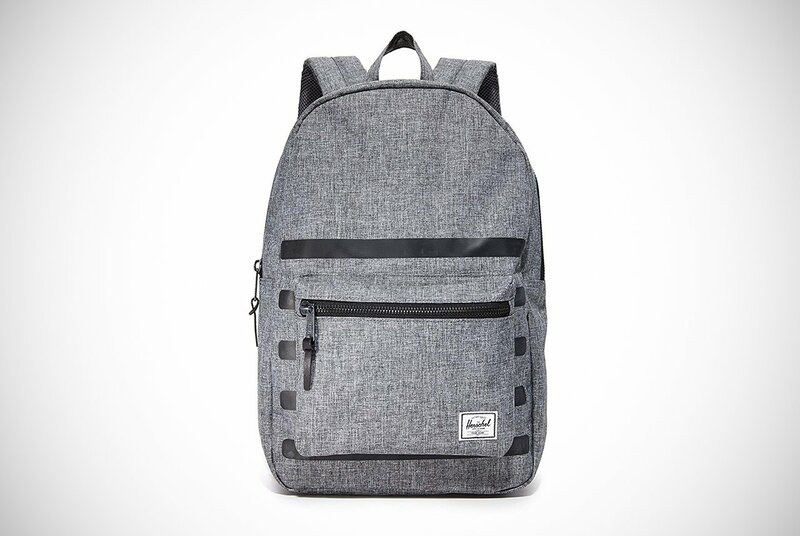 First on our list of Herschel backpacks for men is this stylish Pop Quiz Backpack. It is perfect for young men still in high school, university/college students, city dwellers, and working professionals who sometimes take their work home with them. It’s neatly divided inside with mesh organizers so you can keep everything in order. That’s on top of an internal padded sleeve which can store a laptop or similar device of up to 15 inches. Not only will it keep you in check, but it’ll also make your daily commute much more enjoyable with an internal media pocket and headphone port. Not often is a backpack seasonal, but this may. It even has a sunglasses compartment with fleece lining to keep them safe and comes in many different colors and styles. Music. Check. Shades. Check. Organization. Check. Looking incredibly fly and stylish. Checkmate. The name of the Retreat Backpack spells it clearly out for you. Any man needing a new backpack for a trip or vacation should strongly consider this model. It has the design of a backpacker’s backpack but a scaled down version. It may look rather simple with its drawstring and magnetic closure. 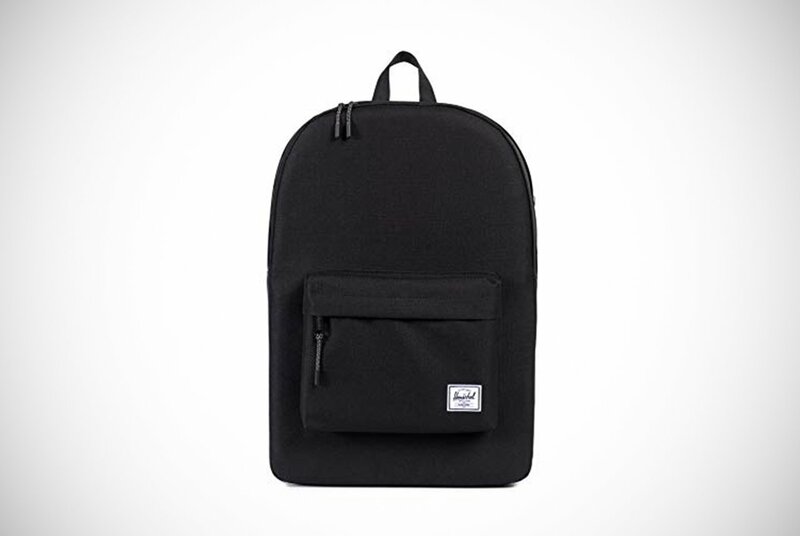 However, these great Herschel backpacks for men actually have a 15-inch laptop sleeve to keep you connected on the go. This even comes with a media pocket with headphone port and one large external pocket to easily access your most frequently used items. Think of things like your keys, which we all know are continually getting lost. This could easily be your next backpack for weekends away and overseas bachelor parties. You can be forgiven for double taking and thinking this was the first backpack on our list; they do look a lot similar. They aren’t a million miles apart either. 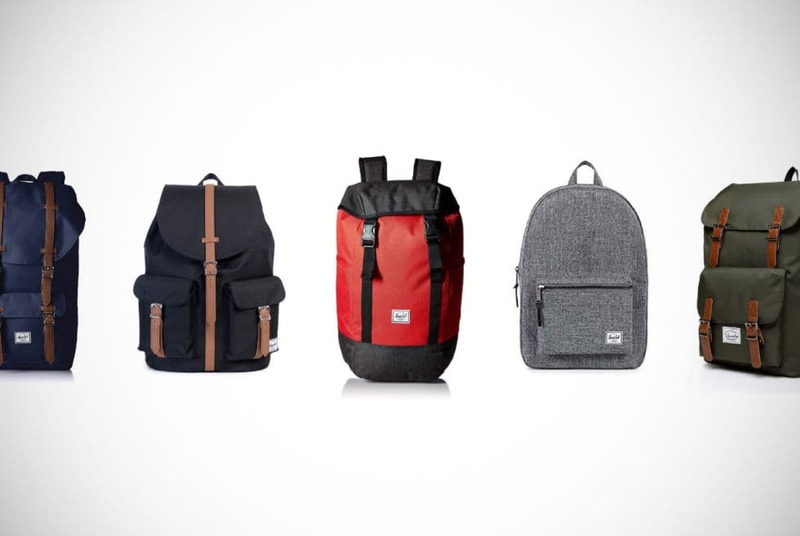 These great Herschel backpacks for men are perfect for everyday use. It’ll get your laptop and your sandwiches to the office and back. Obviously, this is useful for any professional man on the go. However, they’re also handy on a city trip and perfect to get your groceries home in a potential post-plastic-bag-ban world. If you’re a guy with no particular backpack use in mind but just want one for a bit of everything, the Heritage Backpack is a solid choice. It’s a good-looking backpack too. It’s so fashionable in fact, if your wife sends you packing, you’ll at least leave the marriage with a cool backpack. This is why we recommend prenuptial agreements, men. 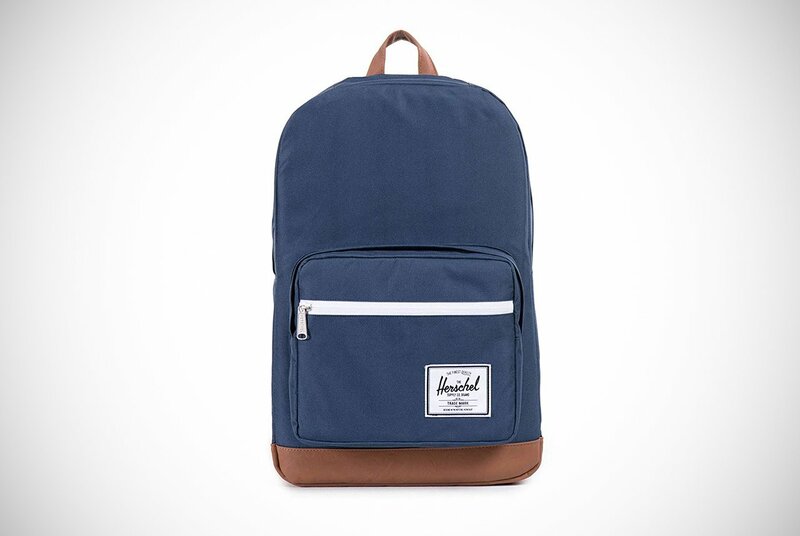 The Classic Backpack is a no-frills solid piece of Herschel craftsmanship. It doesn’t have the fancy media pockets and whatnot that some of the other models offer. However, it’s simple and sleek design will win over those who just want the classic look. Sometimes great Herschel backpacks for men are just simple, but this is actually what makes them so good to have. If you want one that’s going to last for a long time and not go out of style, this is your perfect backpack. The Little America Backpack is a wonderful contradiction. At first glance, men looking for an inner-city style backpack may have continued scrolling thinking this was one for the hikers. Though, we hope you guys didn’t. The mountaineering appearance of this backpack is just a clever disguise. Underneath it’s stylish but adventurous facade is a sophisticated bro sipping a whiskey on the rocks. Or more like a hipster taking a gulp of an organic acai smoothie. It has a padded and fleece-lined sleeve to store devices up to 15 inches, and a media pocket completed with a headphone port. 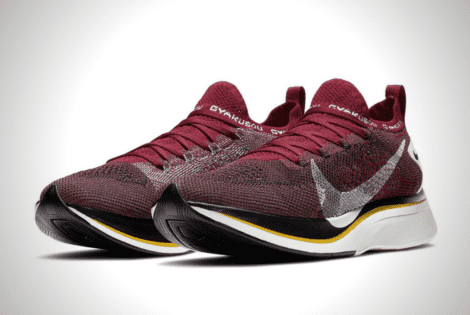 It also comes with contoured straps and air mesh pads to improve comfort and breathability. Of course, you could take it to the mountains, but it’ll be just as functional and more at home in the Big Apple. 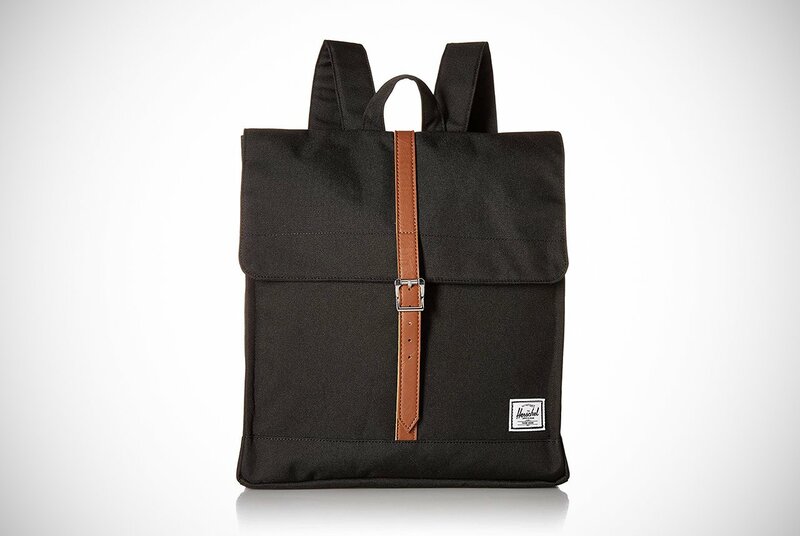 Herschel backpacks for men to be multifunctional, this is the beauty of them. Regardless of where you take it, the Little America bag will get the job done. Clearly, with “America” in the name, did you expect otherwise? If you can’t decide between the vintage look and modern practicalities, you don’t have to. 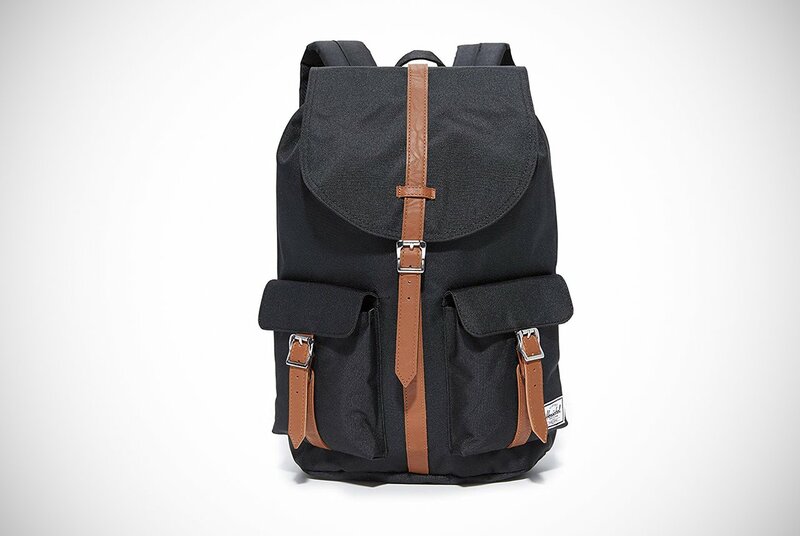 Herschel’s Settlement Backpack is a great compromise between the two. It has a small zip pocket to keep your keys at easy reach. Meanwhile, the interior has a slip compartment to fit a book, journal, or hiking trail guide. Our researchers found out that it could hold a small laptop or iPad. However, it hasn’t been specifically made for this with secure padding. That said, it might not be the best for that job. Yet it is great for so much. All in all, it’s one of the most practical backpacks you’ll find without looking like a spaceship. It may be the ideal backpack for manual workers who carry tools and don’t want lots of inconvenient compartments. This is especially true considering the extra cushioning straps will make heavier loads remain a comfortable carry. Herschel backpacks for men are known worldwide for putting comfort and ease of carrying at the top of their priority list. This means you’ll always have both in play for any backpack and the Settlement bag is just another in that line. Joey Tribbiani’s man bag may not have taken off, but this is the closest thing to it which will catch the eye for all the right reasons. This is the ultimate in gentleman’s backpacks which oozes class, and it’s sure to make a few new “friends” as you pass people by. It’s unique design somewhat resembles a smaller briefcase with backpack straps. Herschel has said that this is, in fact, a rendition of one of those scouting bags due to its single strap closure. One little perk not seen at first glance is that these Herschel backpacks for men also have a zippered sleeve on the outside which is hidden by the fold over. If you’re a guy looking to upgrade your style with more of a gentlemanly appearance, or maybe impress your fellow office workers, this one will definitely turn a few heads. Another one for our male explorers is the Dawson Backpack. These Herschel backpacks for men offer a few more external storage options than what we’ve already seen. All of these pockets have strap closure with metal clips for dual securing. If you have lots of keys and items that you need quick access to, these external pockets could make this backpack an ideal choice. It’ll let you store all your gear needed for a short adventure ahead and even has a slip pocket inside that can hold your wallet, map, or guidebook. This bag is great for so much, from exploring to walking down the street in a busy city. It really doesn’t matter what you want it for, the Dawson Backpack seems to be capable. Our final backpack in today’s showcase is the Iona Backpack. It looks a bit like a sleeping bag but unfortunately, it’s not going to be big enough to camp in. It is big enough for you to fit your laptop in though as it comes with an internal device sleeve. The internal compartment hasn’t been hampered with different compartments. A lot of previous customers have been rather impressed by the number of things you can get inside. Some have also said that this bag is a great option as carry-on luggage. Some of its features worth mentioning are a drawstring closure. We know what you’re thinking, but we swear it’s a backpack and not a sleeping bag. It also comes with clip fastening straps that won’t become undone as easy as metal buttons and there’s even a hidden zippered storage beneath the top flap. 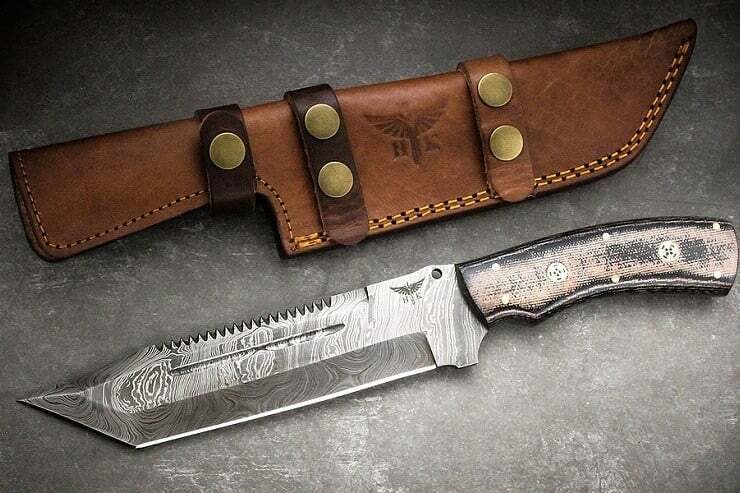 Not a bad option for frequent flying men on business trips. Herschel backpacks for men are taken everywhere for various reasons. It seems this bag could be used for so much, so it’s likely the perfect gift item. And that’s our rundown of the best Herschel backpacks for men available. If you do decide to buy a Herschel backpack online we’re sure it will incite boy scout memories or be your chic partner during the professional day. To help you decide, think about what you want from your backpack and what you intend to carry. Even though this will help you narrow down your decision a little, the versatility of the Herschel backpack will keep your options open. It’ll also leave lots of room to get picky about shape, style, and colors. 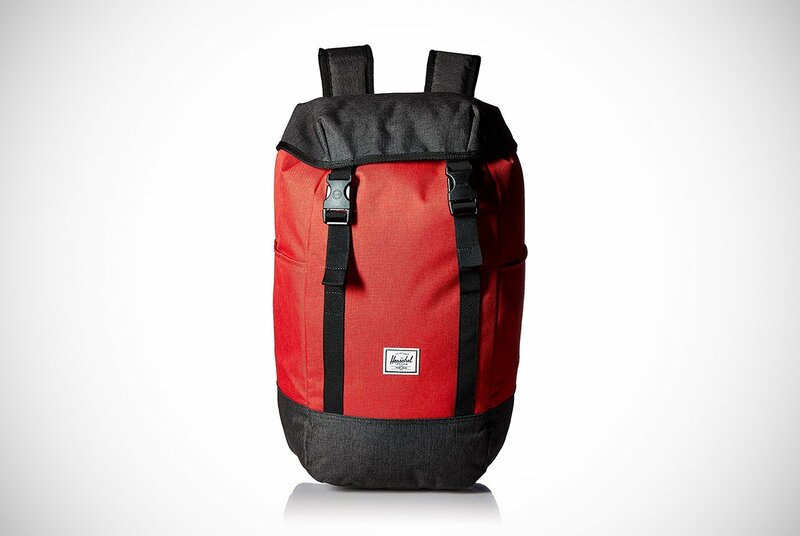 Found the right men’s Herschel backpack for you, as there are surely many to choose from. You can enjoy standing out from the crowd as you take a city break, a weekend adventure, or just as you wait for the red light to change green at the crossroads. The Risolves DualFuel windproof lighter is a compact and rugged EDC that's ready for the outdoors with its flameless coil and power bank function. The Google Pixel Stand does more than wirelessly charge your Pixel 3. It also turns your phone into a personal assistant that gives you the latest news. 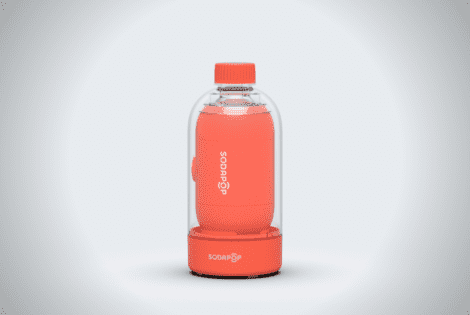 Designed and developed in Oslo, the Sodapop is a compact and portable wireless speaker with its own bass bottle that doubles as a protective case.